I finally got up the nerve to film my very first VLOG! I’m so excited about it. After reading my blog post about how much I love football game days, you know it’s one of my favorite times of year. 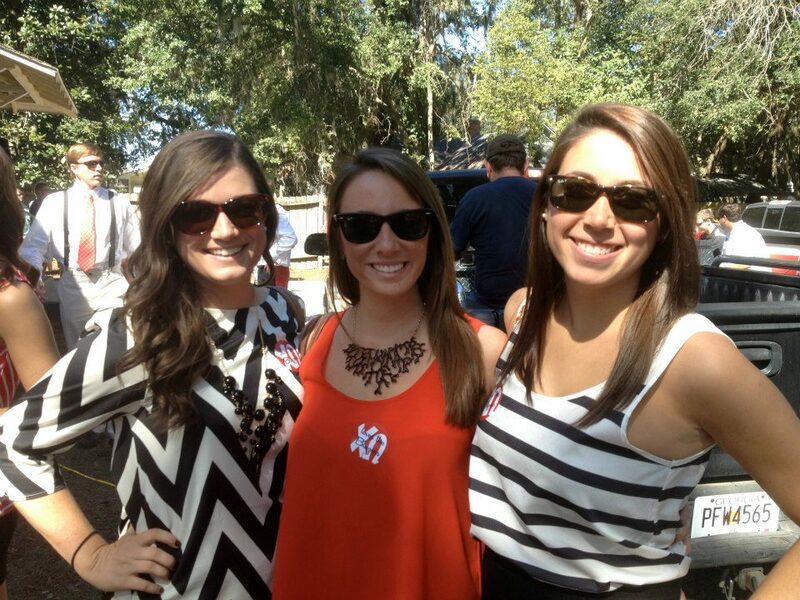 Here’s a little glimpse at SEC gameday style at the UGA/Auburn Game this past weekend. I was a little nervous (if you can’t tell), but I hope you enjoy it! What’s your favorite thing about football game days? 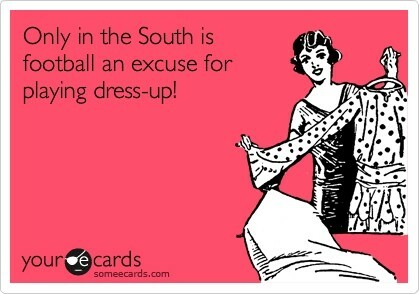 There’s not much that beats a Southern Saturday during football season. Fun times with friends, the delicious cocktails, and the OUTFITS! This past weekend was our Homecoming game, which means that everyone (even the guys) dress in their finest of game day attire. Many girls think this is a time to spend extra dollars on a dress that is screaming red and black. Well, sorry to burst that expensive bubble…I opted for my roommate’s Forever 21 little black dress (no longer available but still adorable). It had a conservative front, with a slightly open back. And check out my friends’ outfits. Total Target, Tobi, and Forever 21 madness! Not that there was a style competition or anything, but I totally think these girls’ matching dresses win the Fake It Award! What do you think? Dress: Tobi; Bauble Necklace: Basically everywhere, but Etsy is a great site for them! 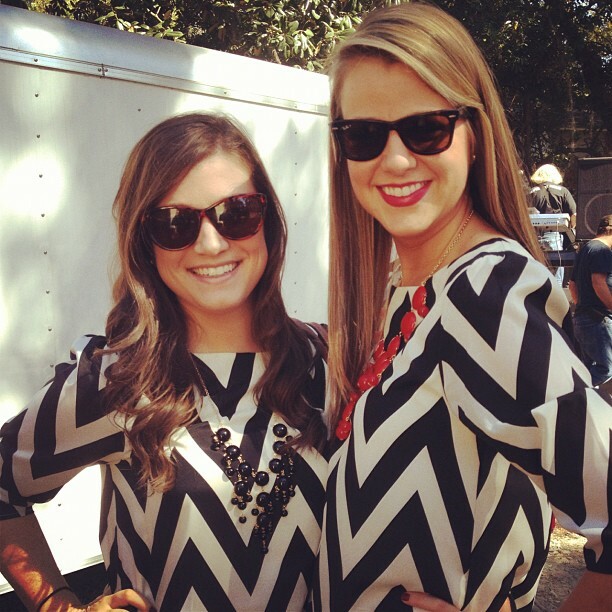 Chevron and baubles…so trendy. Don’t forget the red lipstick! 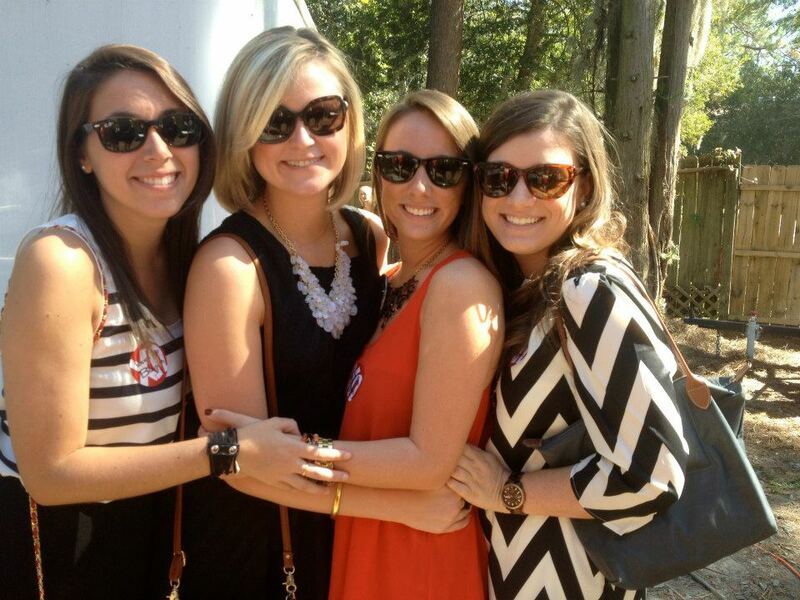 How do you dress for your school’s game day? I’m headed to Auburn this weekend, so I gotta trade out my red and black for orange and blue…and I’m loving this look. Do you?? ?